The Manchester City Disabled Supporters Association (MCDSA) sits independently of the club and all other supporters groups but is officially recognised by City as the voice of their disabled supporters. As well as supporting their members access football matches home & away they also organise several social events throughout the season to bring disabled supporters together to talk all things football and feel part of an inclusive group. These meetings are attended by former players, celebrity fans and others associated with the game. Simply meeting together and sharing memories is proven to have a massive positive impact on the mental wellbeing of disabled people who can often feel isolated from society. 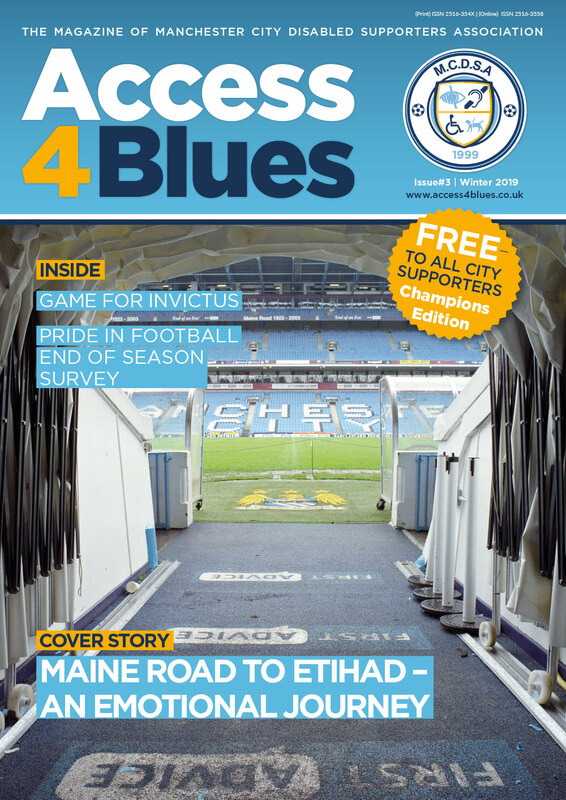 They are now looking to extend their reach by launching a magazine that will educate disabled supporters on the superb facilities available to them and entertain with stories of interest to everyone.